My first garden was far from perfect. 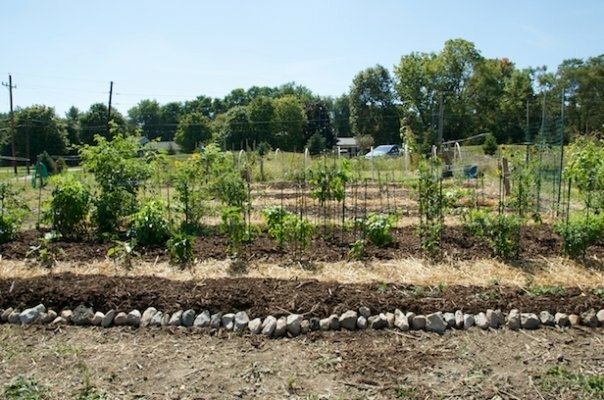 It was a rented space in a community garden, with hard, rocky, clay fill dirt that caused most of my neighbors to abandon their own plots by June. I stayed and gave my heart, soul, and sweat to that soil for three years before I ever reaped a decent harvest. Each year, I spread several truckloads of mulch, pulled thousands of weeds, and cried over the deaths of drowned plants, frozen plants, sick plants, trampled plants and nibbled plants. But eventually, the garden became healthy and fertile. I wouldn’t change a thing about my first garden, because the lessons it taught me have served me well. The most important thing I learned was that good soil is absolutely essential to a successful organic garden. If you are gardening on a small scale, you might be able to bypass your soil all together, by growing food in containers or raised beds filled with store-bought perfect soil. Or, you might be able to make enough compost to sufficiently enrich the soil you have. But what if you need to fix acres of hardpan clay soil? It would take decades for one person to make that much compost, and many thousands of dollars to build acres of raised beds. An excellent solution can be found in cover crops. 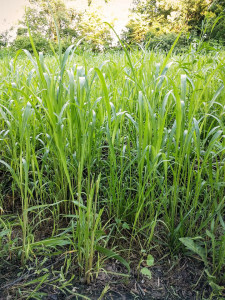 A cover crop is a plant that is grown specifically for the benefit of the soil. There are many kinds of cover crops, each with its own magical power. There are crops that create nitrogen from nothing but air and bacteria, crops that mine minerals from deep within the ground, crops that smother weeds, and crops that control pests. These crops are chosen for their ability to grow vigorously even in poor soil, and for their ability to leave the soil better than they found it. The specific problem at Strawberry Moon Farm was compacted clay soil. The soil was hard, and rainwater stagnated in puddles for days rather than soaking peacefully into the ground. So I selected sorghum-sudangrass, a crop with five-foot-deep roots to break up the soil. As a bonus, it also has ten-foot-tall foliage, which will provide plenty of mulch at the end of the season. The sorghum-sudangrass has performed extremely well so far, even with no fertilizer, pesticides, or irrigation. You can learn more about the types of cover crops and how they work from SARE (Sustainable Agriculture Research and Education). I plan to invest in a few more cover crops to reap still more benefits for the soil at Strawberry Moon, to give our organic orchards, vineyards, and vegetable gardens the best possible chance to thrive. 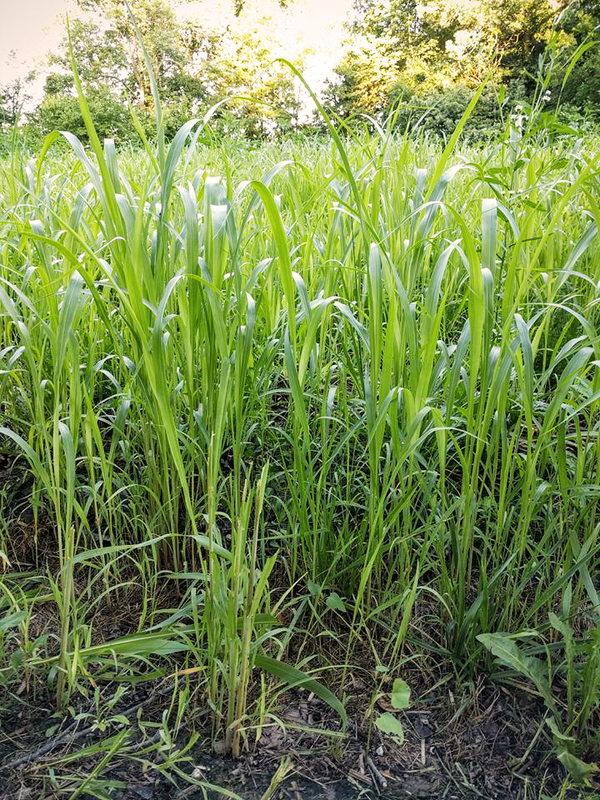 Cover crops are extremely useful for building great soil on a large scale, and they are just as useful for small gardens. Consider growing a quick midsummer crop of buckwheat between your spring peas and your autumn radishes, or maybe a spring crop of alfalfa before you plant your tomatoes next year. It’s an affordable, easy, and effective strategy to boost production in your vegetable garden and on our farm.